Is that a photo of 10 or so people having a smoke in the squash courts? Yep it is the smoking fraternity and the nearest on the right is Nigel Walker so I am guessing Mel, Bob, Julian and maybe you are there Richard. Looking back, I am amazed we got away with smoking in the squash courts! Location: Isle of Seil, Argyll, Scotland. Richard Ruck wrote: The photos seem to be lacking a house tutor, too. Who was it at the time - Keith Stratton? That'll be right Richard - Uncle Keith's awol. 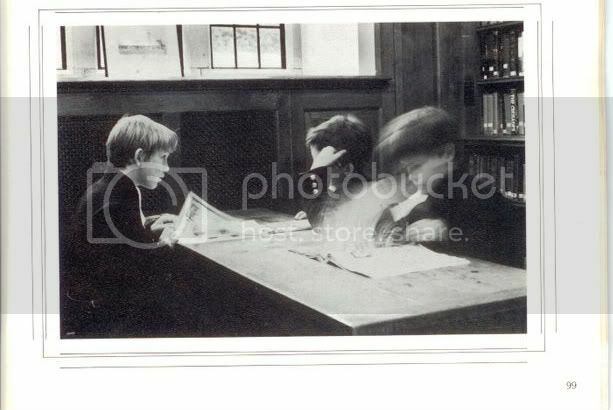 I think the following year (1976) the house tutors were Nick Plumley and Mike Williams. Ubi stayed for another year and then Nick Jones became housemaster. Plumley used to live around the corner from my in-laws in Arundel. Nigel Walker is the only one I recognise from the squash court fagathon but as Sean says I'm sure the usual suspects are somewhere in the haze - Mel, Rob, Julians (Taylor and Angel) et al. 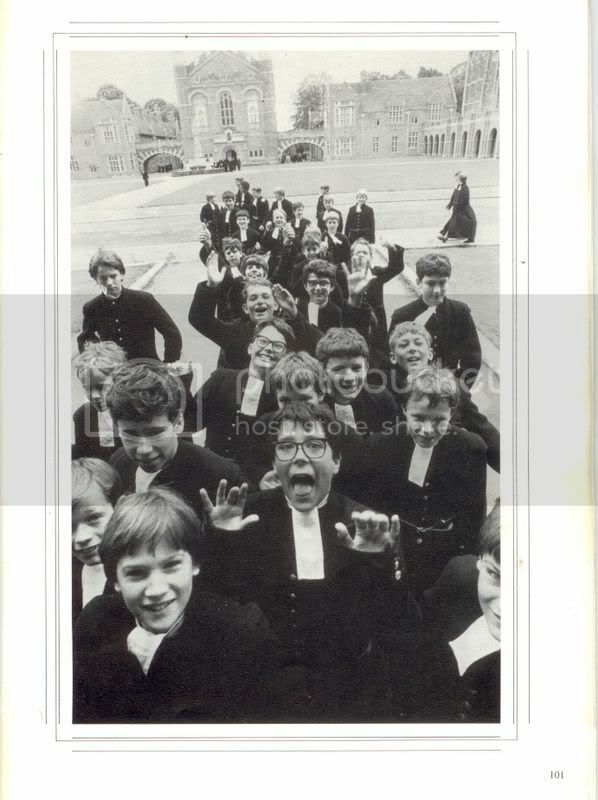 I left in July 1978 and Ubi was housemaster then. For a vicar, that man sure knew how to use a cane! I can recognise Bruce & Rob in the top picture and there's a few familiar looking faces in the other as well. The seond one will be 83-84, as most of our squits are in it......but where am I??? maybe u were practicing drum majoring? Photos by GÃ©rard Rondeau, I believe - I'm pretty sure they come from the same (very arty) set as Rondeau took that year. A quick search brings up http://fr.wikipedia.org/wiki/G%C3%A9rard_Rondeau. Must be the same chap unless there are two French photographers of the same name and about the right age. This is the Middleton B house photograph for 1939, which was found in the Museum in the course of other research. 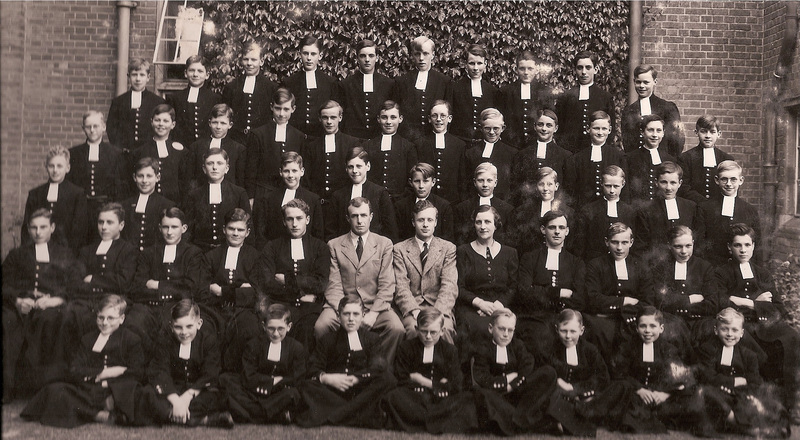 It is well before even my time, but the one name I can place is Michael Evans, who is in the third row from the front, centre, peering over the housemaster's head. He left the schoool in July 1942 and was killed in a German attack on the Guildford-Horsham train on 16 December 1942 as it approached the station at Bramley.